For both big and small businesses, marketing is very important to attract clients, build a brand, and promote product and services. Hence, it is vital that businesses use high-quality promotional materials. From posters to brochures, any startup business or even an already established one uses them for promotional purposes. Why are marketing materials important to businesses? What advantages do they give? Below we have listed some of the reasons and benefits of high quality and well-made marketing materials. Establish credibility and authority. Having a professionally made logo, letterheads, business cards and other marketing materials will show your clients that your company means serious business. They will value your business highly. Increase the chance of attracting investors or earning venture capital. Through the help of a well-made marketing material, you can present a well-rounded business package to prospective investors and even in business-to-business transactions. To attract clients. Most clients will judge companies through “look and feel.” This is why it is important to present your business clearly and without errors through marketing materials. Explain your business and differentiate it from competitors. If your business is non-traditional, the best way to clarify your services or products is through promotional materials, such as brochures and leaflets. Make your business stand out. If your business is in a saturated industry, you need to make it stand out in your field. A well-made and personalized website or logo will help your business develop its brand. What factors make quality marketing materials? Professionally designed. With the availability of powerful desktop publishing software and systems, it is tempting to create marketing or promotional materials in-house, but let professional copywriters, graphic designers, and similar experts take care of the job. It will be worth it. Clean and simple look. Graphic design takes the time to understand that is why you need to hire specialists for the job. Make sure that your materials are straight to the point to make your message clearer. Never overload your target readers with text. Break it up using photos, charts, illustrations, cartoons and the like. Importance of “family look.” The materials should look planned out. It should be uniform to let your readers know that they all come from one company with one message. Good photography. Don’t settle for less. Promotional materials are worthwhile investments that can help multiply your sales in the long run. Employ professional photographers to take images that will be used in your materials, and add premium quality to everything. Since 1969, DFW Printing Company has been providing printing services for local as well as national publications such as USA Today and other clientele. The company is one of the most technically proficient printers in the North Texas area. Skilled staff, with over 20 years of experience in the industry enable us to provide high-quality printing services along with our 24/7 customer support. We help you save money and time with our latest equipment, such as the Single and Multi color sheet fed, Heat set, Cold set, UV, and more to print, stitch, and insert most jobs in a single pass. Clarity in dealings with customers. We make sure to meet your printing needs by giving you one on one service. We will give you what you want by understanding exactly what you need and at the same time, our sales team will explain the specific cost of our services and how we will deliver your product. 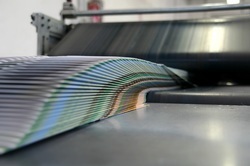 DFW Printing Company supplies all forms printed materials. Do you need promotional items such as pens and badges to help promote your products? How about newsletters, pamphlets, and brochures for a trade show? At DFW Printing we have an entire e-store with thousands of items at prices that will fit your budget. 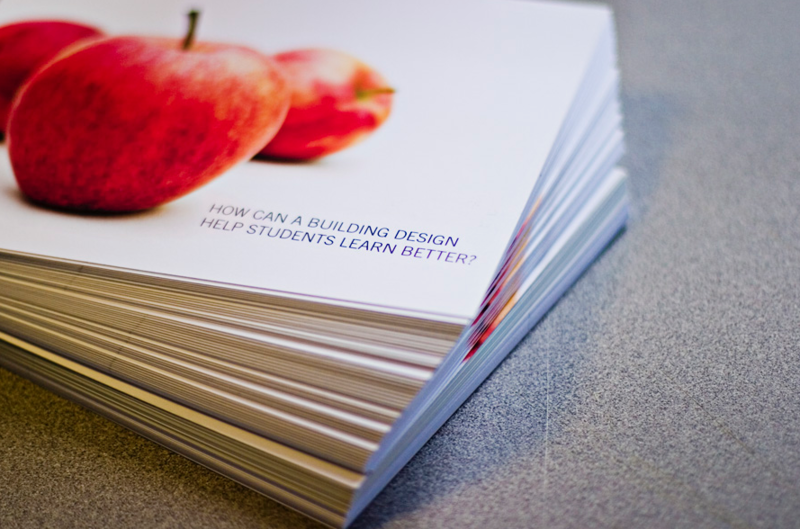 We can help you create high-quality marketing materials to attract more customers. We take pride in helping your brand grow! 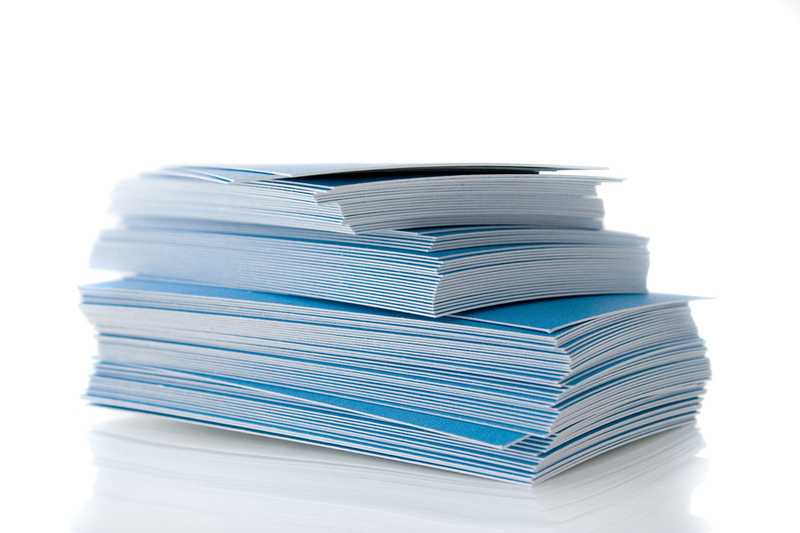 Flyers & Brochures – Choose your stock and quantity, and we will print them in excellent quality. Presentation Folders – Our in-house experts will help you with your questions and needs about presentation folders. We also have various options available at DFW Printing. Business Cards – From short to long runs using different types of paper stocks and designs, we deliver on time with our efficient business cards printing capabilities. 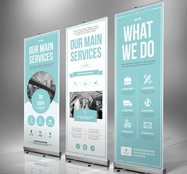 Banners & Posters – For any event or business, we are capable of creating a wide range of banners and posters. DFW Printing also helps in file preparations and designs. Postcards – DFW Printing also prints postcards. At the same time, we offer full mailing services including variable data, labeling, and inkjet printing. 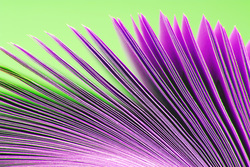 Booklets & Catalogs – We will be your partner in making booklets, brochures, and catalogs. There is no small or large job for DFW printing. Our in-house experts will work you with all the way to ensure everything is right. DFW Printing Company is your one-stop shop for your marketing material needs. We take pride in helping our clients grow their business. There is no big or small job for us, and we will give you your products the way you envisioned them on time. Marketing Materials - We Have them all!